When the economy took a nosedive, six-time yacht owner Henry Respess was not only left with a half-built yacht, but the whole yacht brand as well. He had been building his 'dream vessel,' a 33.5 metre Westship, at the builder’s Tampa, Florida, yard when the opportunity arose to acquire Westship’s assets in 2006. Now, after finishing his yacht Lady Prestige and waiting out the economy, he says he is ready to put these assets to work and resume building Westships at a new facility in Tampa. 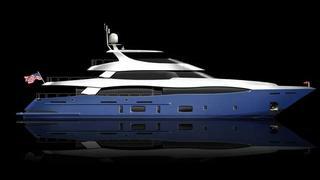 He’s turned to well-known designer Evan K. Marshall and naval architects Giovanni and Giuseppe Arrabito who have drawn up two new designs, a 33.5 metre and 40 metre. Both offer updated styling, including Marshall’s signature 'wave' windows for a European flair, as well as higher freeboard and the option of a hard top. To be constructed in FRP to Lloyd’s class, they share the same mould with a beam of 7.7 metres.